60 Cyclists...3 Countries...1400km Ride...1 Party! 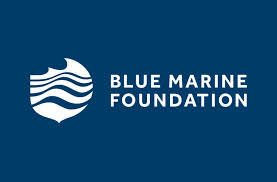 MarineGuard are very proud to announce we are now supporting the Blue Marine Foundation! We have joined Icon Connect as a sponsor for their London2Monaco Finish Line Party to add additional support for the foundation. The Blue Marine Foundation (BLUE) is working to solve the crisis in the oceans through providing innovative solutions to overfishing and enabling the creation of marine reserves. Although BLUE is a small NGO, it punches above its weight, having achieved a tremendous amount for the oceans in a short time. In 2014 BLUE won NGO of the Year in the PEA (People Environment Achievement) Awards in recognition that it was ‘getting results where they matter most’. In 2015 BLUE won four PEA Awards as part of the GB Oceans Coalition including ‘Overall Champion’. Following the huge success of the inaugural London to Monaco cycle ride in 2016, the foundation is holding the London2Monaco cycle ride for a second year. The event will be held Sunday 17th to Tuesday 26th of September. Cyclists taking part will arrive into Monaco at the Prince's Palace the day before the Monaco Yacht Show. The party held will raise additional funds for the foundation and MarineGuard look forward to a successful event! ©2018 MarineGuard Systems Limited. All rights reserved.